it is my second drawing. 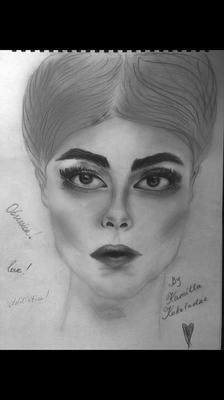 I got the skill from my mother... One day I was bored and decided to draw Cara Delevingne... I don't know why her.. I was drawing this picture for about 5 days. Maybe more... Improving details.